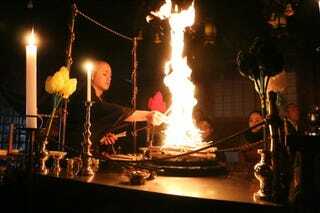 A Monk Burning Prayers at Mount Koya. A Monk Burning Prayers at Mount Koya. Wakayama Prefecture, Japan. By Oliver Williams.